Frank Lloyd Wright—about whom I’ll be doing an adult education course later this month, or is it April? I forget—probably means a great deal more to me than he does to the majority of students I interact with every day. That’s not a value judgment; just a matter of fact, since he played such a pivotal role in my career choice—or at least the career I had hoped to pursue. Not only was I fixed on Wright from about the age of fourteen, Kroch’s & Brentano’s bookstore in downtown Chicago contributed significantly to that preoccupation. Certainly the most important book I purchased during the late 1950s was Drawings for a Living Architecture, a 1959 production from Horizon Press. 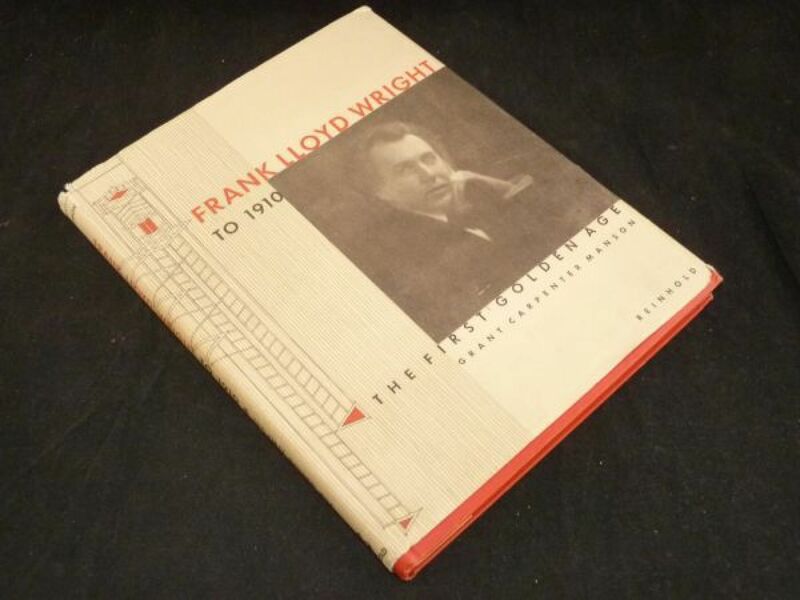 Underwritten by the Kaufman family (of Fallingwater fame) as a gift to Wright, I just learned that my $35 purchase had actually cost $75 to print, the difference was their subsidy to produce one of the most lovely books ever published about Wright. But there were two other early acquisition that had a more direct and more immediate influence on my emerging architectural point of view. 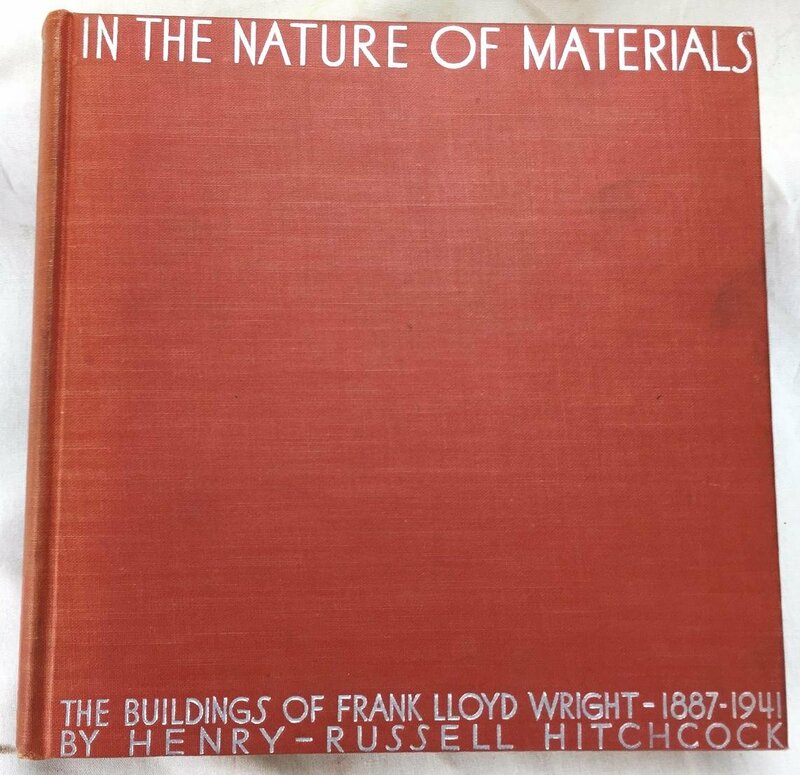 My first Wright-focused book was Grant Carpenter Manson’s first volume of a projected three-volume series, Frank Lloyd Wright to 1910: the first golden age; sadly, volumes two and three never materialized. I recall buying 1910 in 1958 when I was thirteen and still have that copy, though one of its corners was chewed by a dog I once had during my student years at OU. Manson covered the period of Wright’s work most easily available to me: his Prairie style work concentrated in Oak Park, just seven miles north of my home in another nearby suburb. 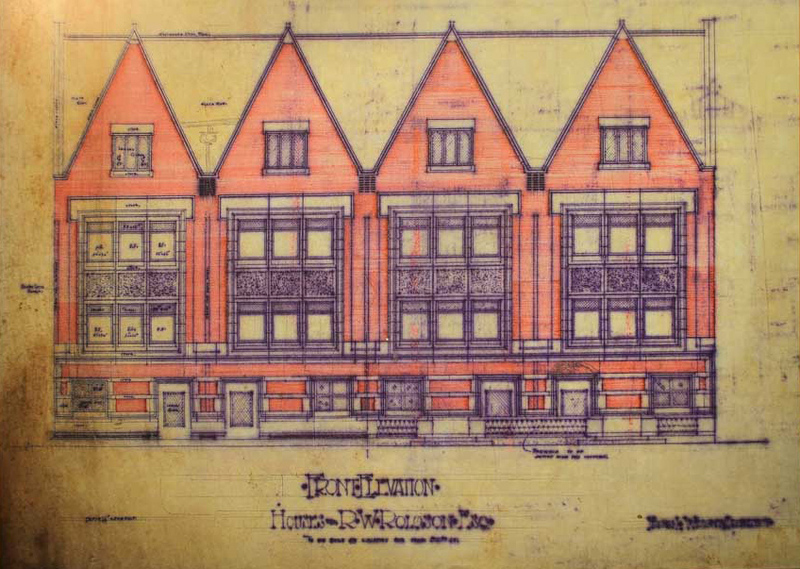 I especially recall Manson’s treatment of the Chicago townhouses Wright designed for Robert Roloson on South Calumet Avenue; I went to see them when that was hardly the safest neighborhood in the city. Roloson and his father-in-law Edward Waller, by the way, were frequent Wright clients during those early years. Though I’ve not had an opportunity to visit any of the four townhouses, Manson’s reproduction of early black-and-white images inspired me to visit them and that led to yet another Wright book which included fragmentary plans, with sufficient detail to challenge my ability to manipulate architectural space in my head—the split-level interiors are that complex. So my third Wright book was an older one, published in 1940 but still in print: Henry-Russell Hitchcock’s In the Nature of Materials. Hitchcock—better known as Philip Johnson’s collaborator on the International Style exhibit at the Museum of Modern Art—worked directly with Wright on the book’s writing and supplementary material, especially a list of projects in the appendix. It was there that I was entranced by a project identified only as “Three Houses for Honoré Jaxon”—ask me about that some time but bring plenty of bourbon. So by the time I got to high school, the “Wright” shelf in my library had grown to three. And I’m pleased to report that all three are still on my shelves. By agincourtiowa in Uncategorized on Friday/02/March/2018 .